There is an emailed report of a Wood Stork seen at mid-afternoon today (Tuesday) at Myer Big Island State Park near Freeborn in southern Minnesota. 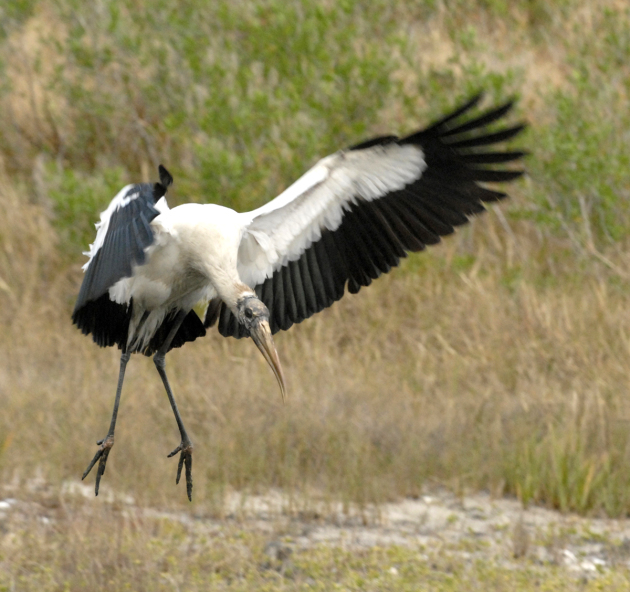 Wood Storks are more commonly seen in Florida. This report follows that of the Roseate Spoonbill seen a few weeks ago near the old Ceder Avenue bridge. The spoonbill was a first. 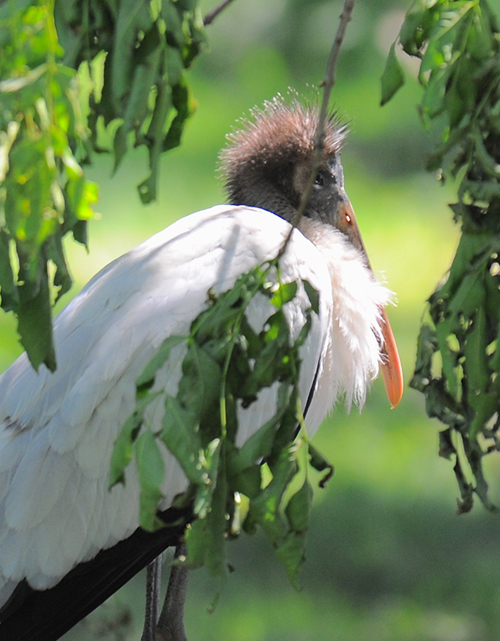 A Wood Stork was seen in southern Minnesota four years ago. The photos show first the Minnesota bird, probably a juvenile, then an adult landing at a site in Florida. These birds are large. They stand 40 inches high with a wingspread of five feet.